Just 10 calories & 2 g carbs. 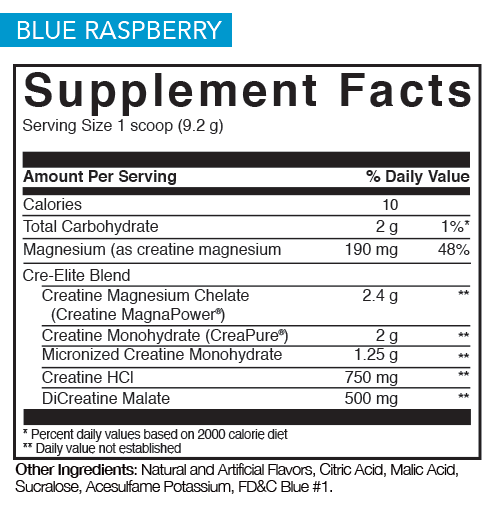 CRE-ELITE5™ is for athletes looking to squeeze every ounce of power out of their workouts. This elite complex delivers over five grams of creatine compounds to help boost lean body mass, training intensity, and muscle strength and power – without banned substances! * Almost as impressively, it does its work without any sugars and just 10 calories.